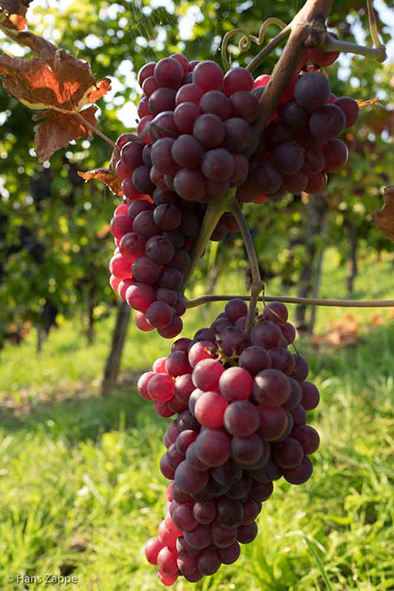 The EU-funded project i-Grape aims to develop a new generation of contactless optical sensors for continuous monitoring of grapes and vines in the vineyard. With six international partners from Portugal, Italy and Germany, including one of Portugal's largest wine producers, this effort will lead to autonomous optical sensors networked through rf communications for precision oenology. The role of the Gisela and Erwin Sick Chair of Micro-optics is optical systems integration: combining optoelectronic sources, detectors and spectral filters in a micro-optical sensor head integrated into a flexible, hermetically-sealed multi-sensor strip which will be incorporated into a grape bunch. The work will require optical design; packaging; hybrid integration; development of flexible or stretchable substrates; and extensive field testing.